Bartenders can make every guest feel at home! All our bartenders have had years of experience. Bartenders are recommended to arrive at your event at least 30 minutes before your guests arrive to ensure time to set up the bar. If there is a lot of set up required please make sure ample time is given. Bartenders will bring their own equipment; bottle opener, wine key, shaker and ice bucket for themselves. If your event requires special equipment please let us know! We can bring the bar! Bar rentals vary on location and other services being provided. Please check out our rental page for more information and types of bar rentals. When booking a bartender we provide you with a complimentary customized drink menu; this is a framed list of drinks chosen to be served at your event. By providing your guests with options you can limit the types and amounts of alcohol you need to buy. We theme the menu to your party and showcase your signature drink. 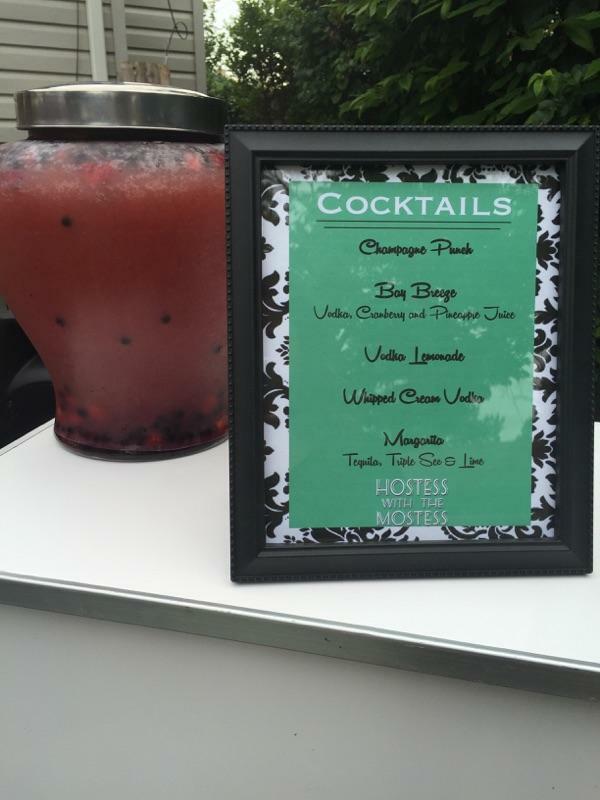 We can simply call the drinks what they are, or name them around the party! The menu is then framed to be placed on the bar, and its yours for the keeping! Bar Packages: We provide customized bar packages for all occasions, weather just wine and beer or a full open bar, we can take care of all the lugging, prepping and setting up so you don't have to. Packages include plastic cups, shot glasses, straws, all mixers, garnishes, ice and desired alcohol. Liquor Licenses: We can provide you a one day permit through the state allowing you to serve beer and wine at a specific location. This is typically only required when renting out a space to hold your event. We must have at least 30 days notice prior to the event to obtain the one day license.